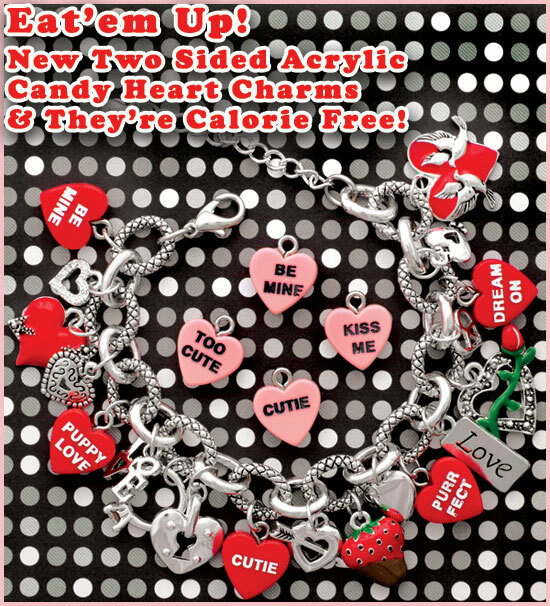 Gorgeous charm beads and bracelet are on sale! Limited time offer! 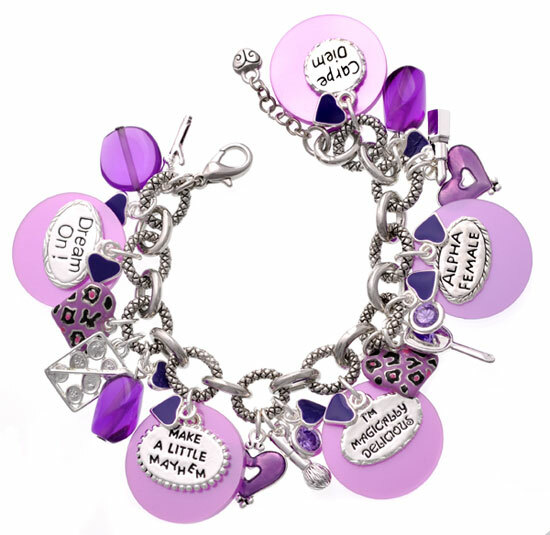 Get all the parts to make this bracelet for 50% off! 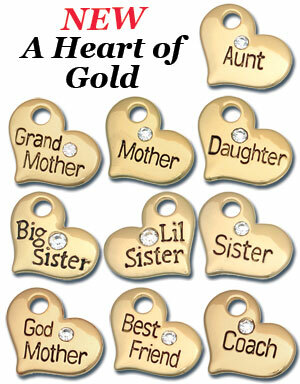 Popular Hearts are now available in Goldtone Plating! 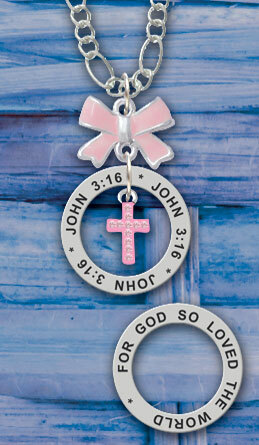 Affirmation Ring available in 14 different verses. 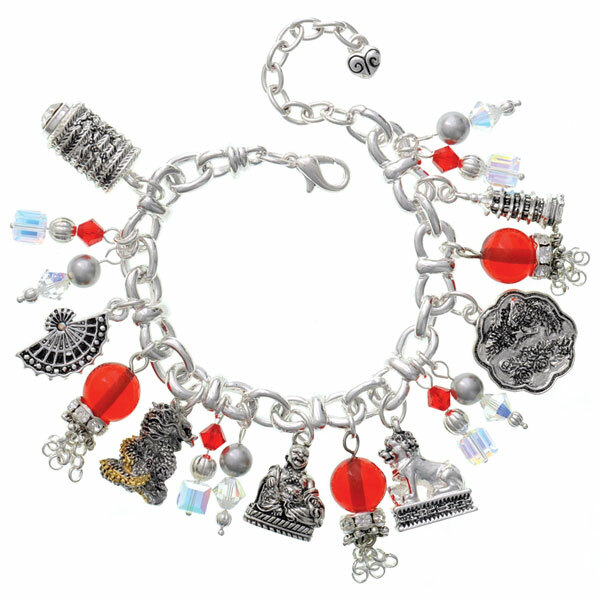 Available as a connector or charm. 3-D Fire Engine and Always Loved Department Shield. 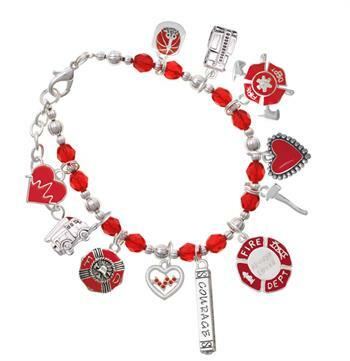 Keep calm and mix up connectors and charms! 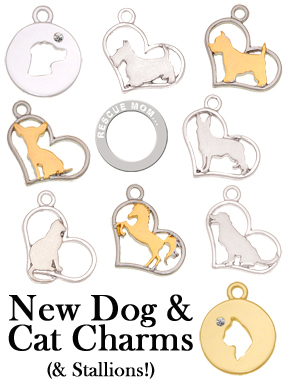 Chihuahuas, Labradors, Westies, Scottie Dogs, German Shepherds,Cats, and Horse Silhouettes. Available in silver plate or two tone. 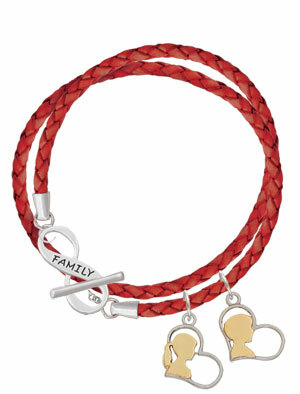 Valentine's Day gifts for Mothers and Daughters. We used the figaro necklace and the Rose Outline charms for a classic look. 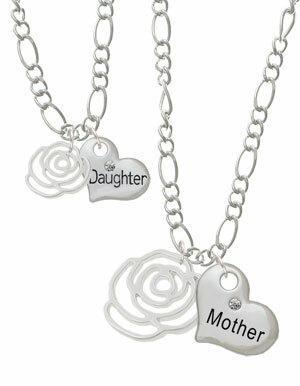 Make your mother daughter necklace sets with something special to you! 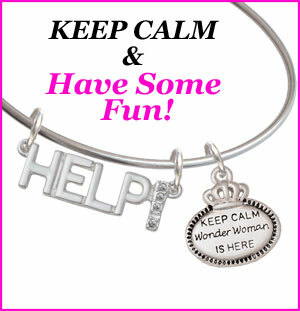 We have thousands of charms to select from, but if you ever need help just send us an email or give us a call. 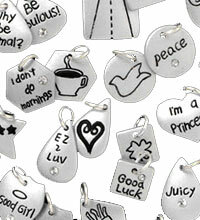 is a group of silver plated charms that have been hand enameled for a touch of color. 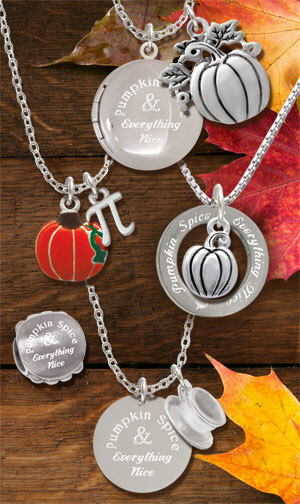 Each enamel charm is coated for a long lasting, carefree finish. Many of the styles come left & right. There are hundreds of styles to be used as jewelry, on scrapbook pages, handmade cards, and more. Enamel plated large hole beads. 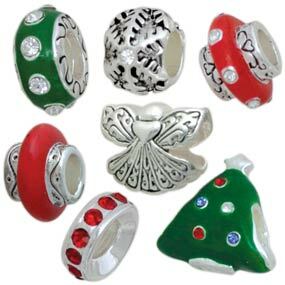 Delight Beads is an extensive collection of designs used to embellish large hole bead jewelry. Each piece is painstakingly hand painted to give you a truly unique product. No two pieces are exactly the same. 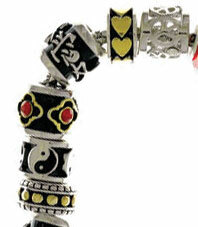 These charm beads are great for changing jewelry on our two part bracelet. Just unclip one lobster claw to add beads, and use the other lobster claw to put the bracelet on. is a group of plated jewelry findings many which have been hand enameled for a touch of color. Each part is coated for a long lasting, carefree finish. Many of the styles come left & right. 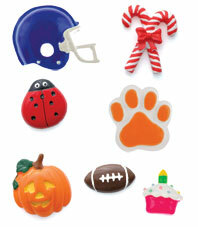 There are hundreds of styles to be used as jewelry, on scrapbook pages, handmade cards, and more. 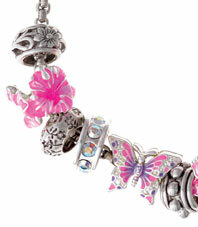 Many designs have Swarovski crystals for sparkle and color coordinate with our charms. 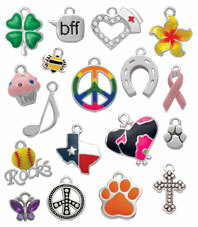 The FlipSide™ Charms is an extensive collection of designs used to embellish jewelry, cards, crafts, and gifts. 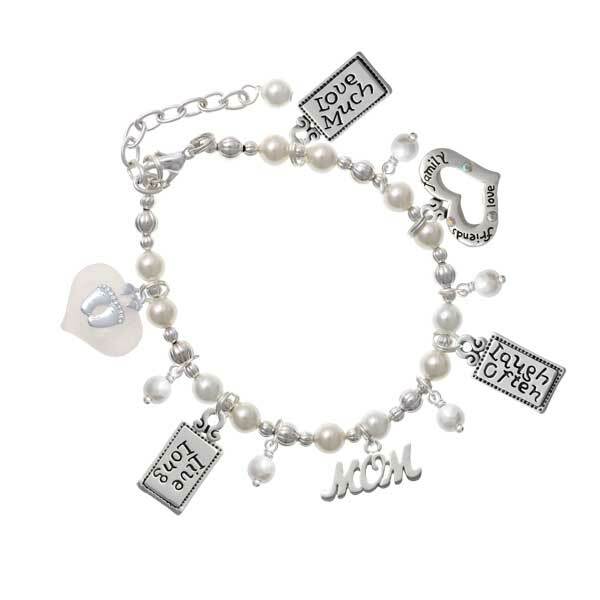 Each design has a fun saying or image on one side and another on the back with a Swarovski Crystal. 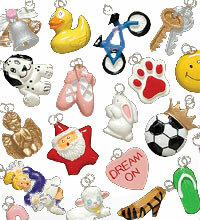 is a group of hand painted 3-d resin charms. 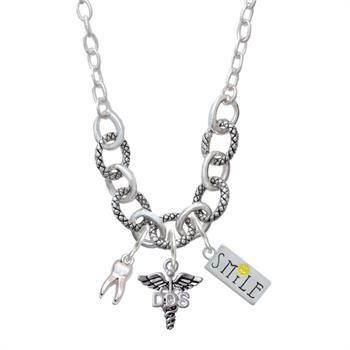 Each charm is light weight and 3-D which make for great necklaces, earrings, and cell phone charms. 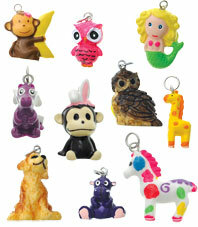 Charmers is an extensive collection of resin charms used to jazz up a wide variety of products: Shoes, Handbags, Backpacks, Earrings, Bracelets, Zippers, Watches, etc. Each charm is hand painted. is an extensive collection of sterling silver large hole bead jewelry. Each piece is painstakingly hand painted or antiqued to give you a truly unique product. No two pieces are exactly the same. 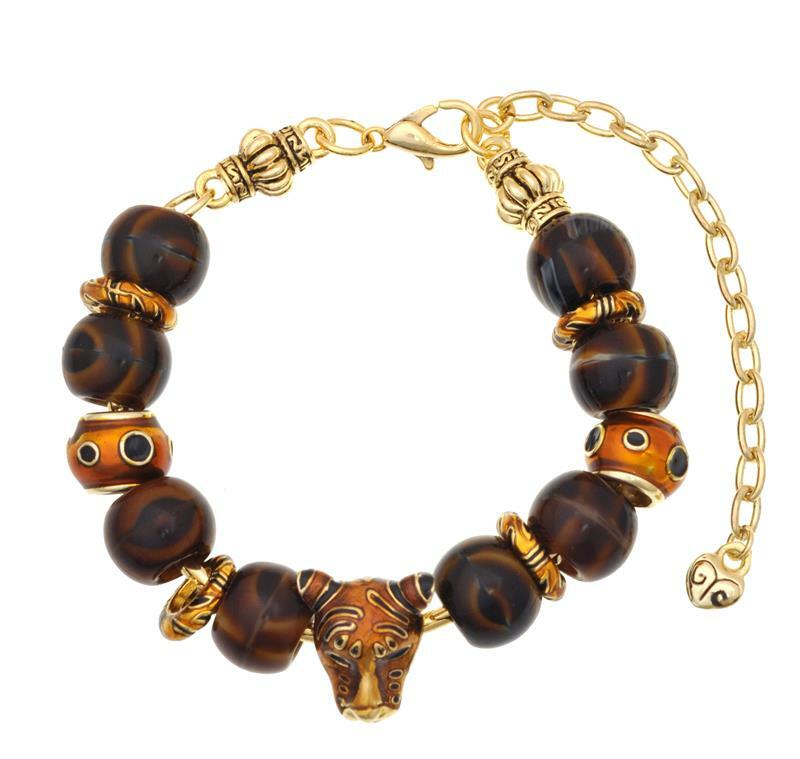 These charm beads are great for changing jewelry on our two part bracelets. Just unclip one lobster claw to add beads, and use the other lobster claw to put the bracelet on. Our beads will also work on non-threaded bracelets and necklaces that will accept beads with a 4.5mm large hole. 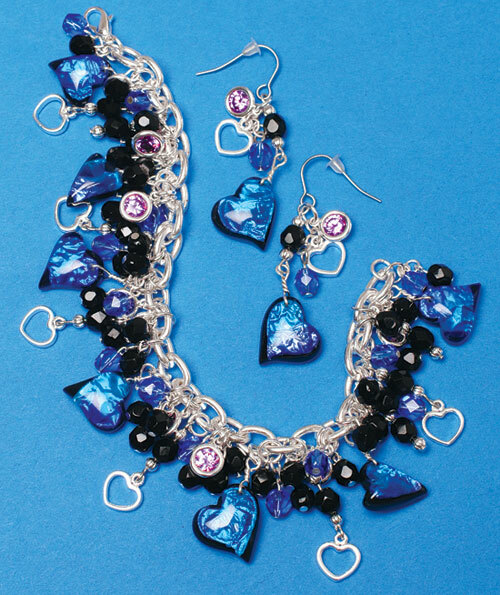 JAZZ-UPS is an extensive collection of designs used to embellish a wide variety of products: jewelry, home decor, gift cards, etc. Each piece is painstakingly hand painted to give you a truly unique product. No two pieces are exactly the same. They may be glued, drilled and washed in warm water; do not use abrasive detergents. Many of the styles come left & right for easy designing.